Borussia Dortmund are nine points off the top of the table, losing four of their last five games. It was a great weekend on the betting front for yours truly with seven of the nine Bundesliga tips coming good! Round 13 looks set to be another cracker with plenty of enticing clashes to keep you at the edge of your seat. Let’s find out what’s worth backing! Hannover have been poor of late with back-to-back losses, scoring just once and conceding six goals, including a 4-0 thrashing at Werder Bremen last time out. Stuttgart have been inconsistent in recent weeks but a 2-1 home win over Borussia Dortmund would have given the Reds a much-needed confidence boost. However, Hannover have won three of their five matches on home soil, while Stuttgart have lost all six games on their travels, scoring three goals and conceding 13 times. A cagey affair is expected with Under 2.5 Goals the market to follow at 9/10. Freiburg have been on a downward spiral since the get-go! Just one win from 12 matches, scoring seven goals and conceding 24 times is not good enough to compete in Germany’s top tier. Mainz are struggling to find a consistent winning formula but have improved in recent weeks. Freiburg have lost their last three matches and Mainz are unbeaten in their last three games. Based on form, Mainz should just edge this one but rather be safe and take them on the Win/Draw Double Chance at 9/20. Eintracht Frankfurt have been in great form in recent weeks as they remain unbeaten with three wins and three draws from their last six matches. Bayer Leverkusen are undefeated in their last seven matches with three wins and four draws. An end-to-end game of football is on the cards and both teams are expected to go for the all-important win. The Over 2.5 Goals market is the way to go at 7/10. 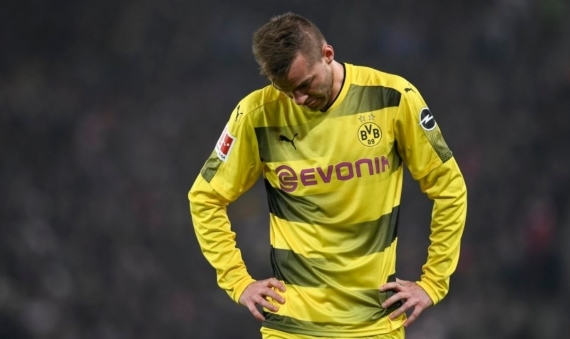 Borussia Dortmund started the campaign like a house on fire but have dipped dramatically with a 2-1 defeat at Stuttgart stretching their winless run to five matches, including four losses with three on the spin. Schalke have been in top form with an unbeaten run of six matches, including four wins. They have also won back-to-back matches on the road and will be looking to build on that. I don’t dare to back BVB to suffer another defeat, so instead, I will opt for Both Teams to Score – Yes – at 11/20. Augsburg are off the back of a 3-0 drubbing at Bayern Munich and will be looking to put that defeat behind them. Wolfsburg ended a run of seven consecutive draws last time out with a 3-1 home win over Freiburg. Six of the last seven meetings between these teams have seen Under 2.5 goals. I suggest following the trend at 7/10. Leipzig will welcome Werder Bremen to the Red Bull Arena on Saturday afternoon. The hosts have been excellent on their ground with four wins and one draw from five matches, while their opponents were outstanding at the weekend with a 4-0 home win over Hannover. However, they are winless on the road and that doesn’t look like improving against the title-contenders. Back Leipzig to claim maximum points. Monchengladbach have been decent up until this point but they will need to up their game against reigning champions Bayern Munich. The Bavarians are on a five-match winning streak and are doing it with ease. Bayern Munich won both meetings last season and I’m expecting them to come out on top here. To get a bit more value, I will be backing the runaway leaders on the (-1) Handicap at even money. Hamburg are just two points off the drop zone and will be desperate to find a bit of breathing space with a win. Hoffenheim have been off the boil in recent weeks with just one win from their last six matches. An open attacking game of football should come of this. Four of the last six meetings have seen both sides find the back of the net. Get on the Both Teams to Score – Yes – market at 11/20. Basement-dwellers Cologne are yet to win a match with 10 losses from 12 matches, scoring just four times and conceding 23 goals. Hertha Berlin have managed just three wins from 12 games and none of those victories came on their travels. With that being said, I’m expecting both sides to struggle to create opportunities or score goals. The Totals – Under 2.5 Goals – market is tipped at 6/10.